The sentence number 213 of 31 July 2018 issued by the Parma section of the Emilia-Romagna Regional Administrative Court concerns the appeal lodged by a Hungarian driver working for a road haulage company in Acquasparta (Terni), which received two penalties for exceeding the times of driving and rest, with the deduction of ten points for each report. 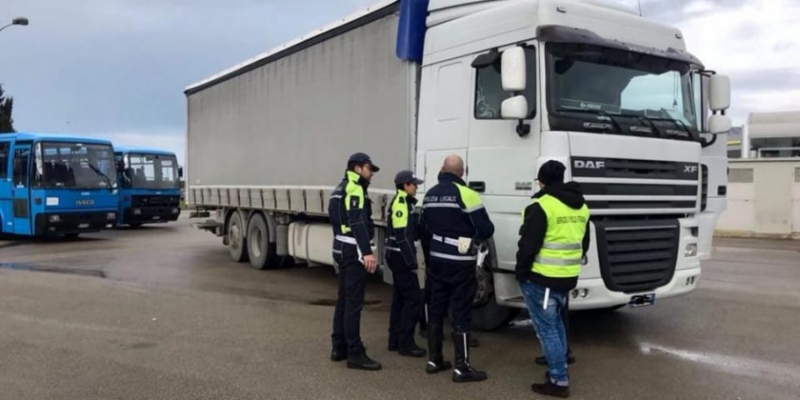 As a result of these sanctions, the Prefect of Ravenna has imposed on the truck driver the prohibition to drive for 730 days, claiming that he reiterated in one year violations of the Highway Code that have completely eliminated his score. Against this decision, the driver appealed to the TAR for excess power due to manifest illogicality and lack of investigation, as well as a lack of motivation. The Tar partially rejected the appeal and in doing so reminded that for holders of foreign driving license issued in a country where there is no driving license to points that commit on the Italian territory violations that provide for the deduction of points exists in the Ced of the Department of Transportation of the Ministry of Transportation a database fed with the personal data of drivers who have committed infractions, associating each with the penalization points. Therefore, the drivers who appear to have committed violations of at least twenty points in one year have the inhibition of driving motor vehicles on Italian territory for a period of two years. If, on the other hand, the twenty points are deducted over a period of two years, the inhibition is valid for only one year, whereas if it is deducted between two and three years, the inhibition is valid for six months. This provision is issued by the competent Prefect of the place where the last violation that resulted in the deduction of the score was committed. “It follows that the applicant, a foreign citizen in possession of a driving license issued in his own country, in the presence of the alleged verified violations is applicable the measure of driving inhibition referred to in the aforementioned paragraph 2, and not the discipline referred to in Article 23 of Legislative Decree No. 286/2005, applicable to the different hypothesis of holders of Italian driving licenses “, write the judges in the sentence. The applicant’s only victory concerns the reduction of the two to one year’s injunction, because he showed that the two violations were not challenged in a period of one year, but in one of thirteen months.